This is a tough one to admit to. My son and I were boating in Lake Champlain this past weekend. We were having a great time when on the last day there we ran into an "uncharted" rock. We were doing about 20 mph and tore the skeg right off the 2 1/2 year old Evinrude E-Tec 90. Ugh! Also dinged up the stainless steel Viper prop. I wanted barf right there. It could not have hurt more if I cut myself. There is about 1 to 2 inches of skeg left. What is the best way to repair this? can a new skeg be welded on or do i need a whole new lower unit? Can the stainless prop be repaired? The motor seems to run fine but we didn't push it after the grounding. I love this motor. Oh Bob, you are naughty! Consider the price of this versus a weld repair. Not sure which is best. As for the prop, have a photo? 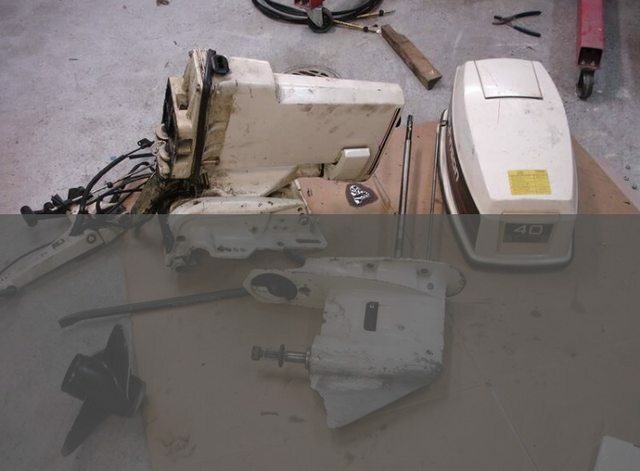 If enough skeg material remains to mount the Skegguard securely that would be an easy DIY repair. If the remainder of the skeg is malformed beyond your ability to straighten it a replacement skeg is indicated. 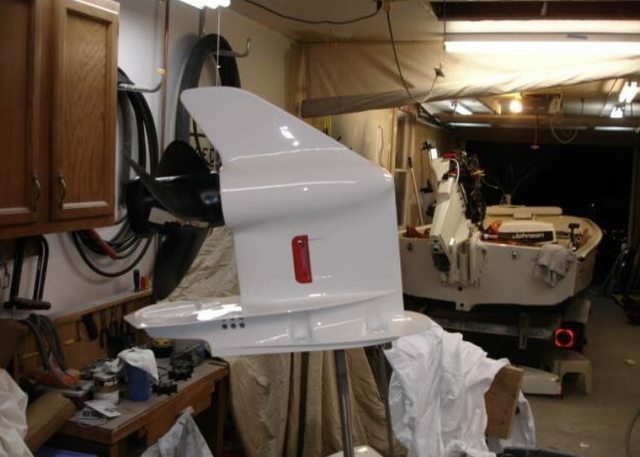 It's a simple repair and most outboard engine repair shops have done the job many times. 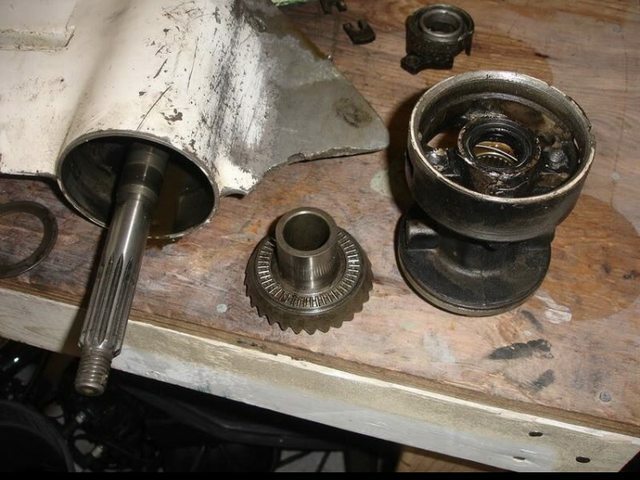 A decent repair shop should be able to make the repair without removing the engine. 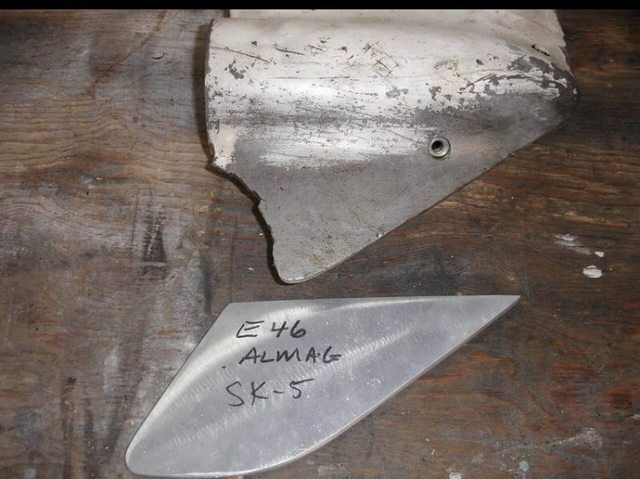 If the propeller is only "dinged" then it can likely be repairs for perhaps $185 or perhaps less (see below). Usually in areas with a lot of outboard engine boaters, there is a propeller repair place somewhere in the vicinity. In SE Michigan there is a big operation that rebuilds and repairs propellers. They go around to many dealers, pick up damaged propellers, and take them back to their main shop for repair. Then a week later they make the same route again, dropping off the repaired propellers and picking up more damaged ones. They also work with individual customers by shipping propellers directly to them. The company has been around for decades. I think they go back to even before the days of Chris-Craft wooden boats. They were founded in 1900 and are still family run. They seem to think a three-blade stainless steel propeller up to 16-inch diameter will cost $185 to repair and ship back to you. Of course, you would consider the cost of repair compared to buying a used propeller that was in original condition. Check for a local firm that does this. You can use the H. H. Smith price as a benchmark. I'm not a fan of the skeg guard after the damage is already done. I suppose it's a way of getting back on the water quick, but the clean hydrodynamics of the OEM skeg is what I consider idea. Bandaid on a broken arm is the analogy I use. 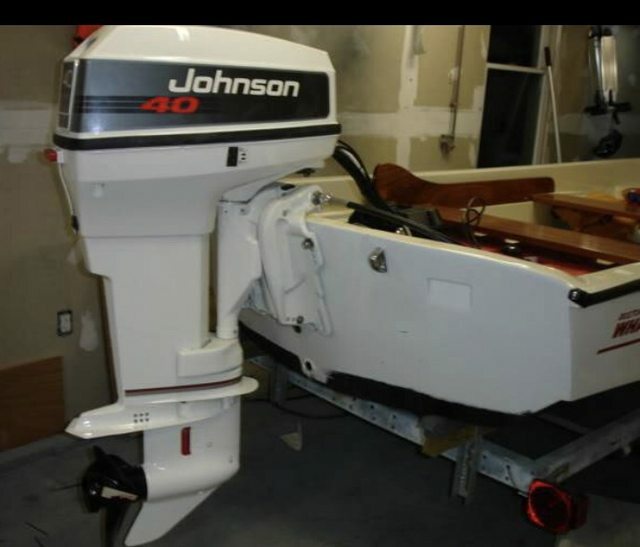 I bought an outboard from a Fire Dept in W. Virgina for short money that was damaged. I rebuilt it for my last Whaler and the skeg was damaged. The repair process below is probably a little more involved than what most need. I removed the gears because I was concerned about the heat, but in hindsight this was unnecessary and I would've only removed the bearing carrier since the o-rings may have a problem with heat from welding. Alloy skegs are readily available for almost any motor. After a nice TIG welded bead. 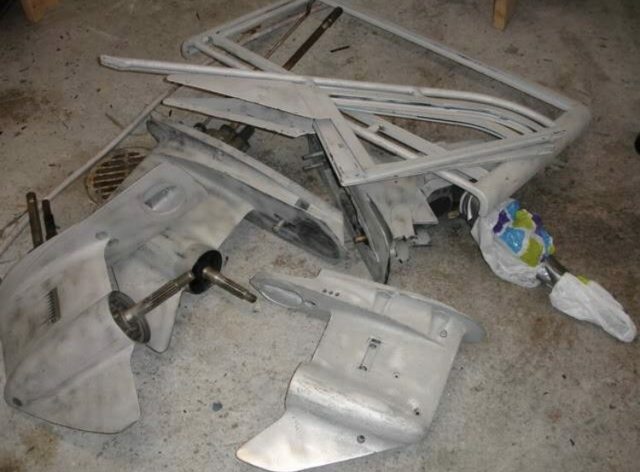 Sandblasted and ready for paint with a few other projects I had going on that winter. Painted with chromate etch primer, epoxy primer and acrylic urethane top coat. Mounted and ready for water. 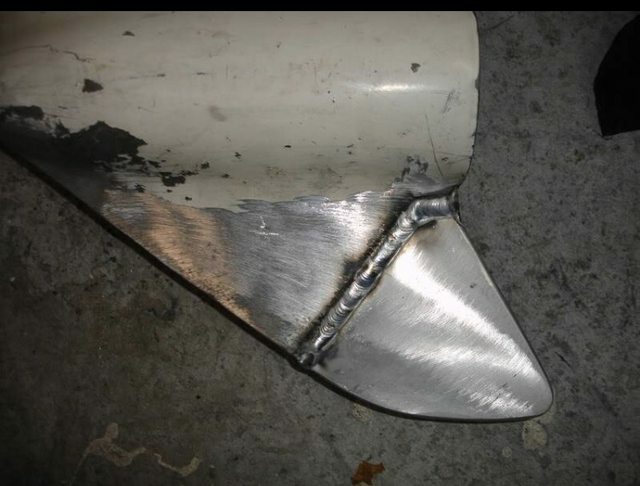 I doubt there is any measurable difference in performance between a Skegguard repair and a weld repair. The Skegguard may not be a cosmetically perfect repair compared to a new welded on skeg with a fared weld but it is an effective repair unless the skeg has suffered more than moderate damage. I have done expedient repairs to the skeg on a Verado engine with a rubber mallet, file and sandpaper followed by a little spray can paint. The skeg now has more rake than when the engine was new but it's unnoticeable. The skeg continues to do a fine job protecting the propeller which I believe is it's primary function.